Ariel, Eric and Melody Cosplay. The Little Mermaid 2. 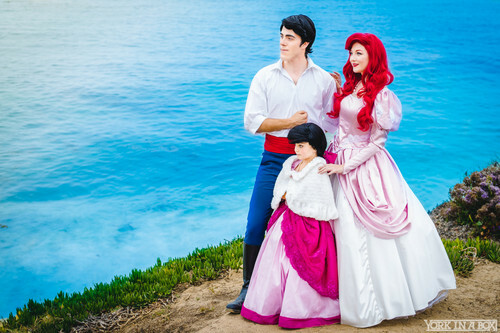 HD Wallpaper and background images in the Disney-Prinzessin club tagged: photo the little mermaid 2 cosplay ariel eric melody disney 2000 animated film. This Disney-Prinzessin photo contains brautjungfer and trauzeugin. There might also be strauß, korsage, sträußchen, sträusslein, blumenstrauß, posy, nasegay, corsage, kleid, kleid, robe, and gewand.